In case you missed it, the deadline for Serenes Forest Scribbles 2016 has been extended to 5th March 2017. For those of you who have already submitted an entry and are patiently waiting for the results, we sincerely apologise for any inconvenience caused. Meanwhile, if you were sitting on the fence or in the middle of an unfinished piece (or know somebody in that situation), there’s still plenty of time to enter for prizes, fame and–most importantly–fun! Serenes Forest Scribbles 2016 is Open! We have an important message for all Fire Emblem fans! Our creative extravaganza, Serenes Forest Scribbles is back for another year! 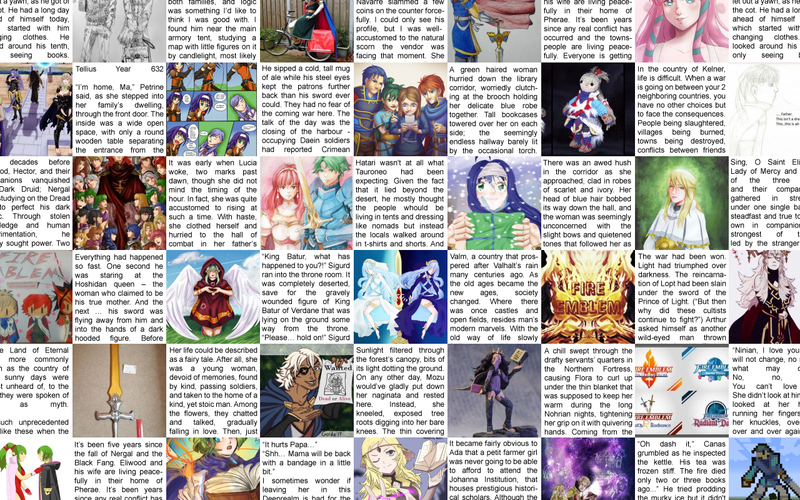 Around the same time last year, we held our first Fire Emblem creative event and it was a big success. Lots and lots of talented fans showed us their work, while many others came over to look and show their support. Needless to say, we’ve all been extremely looking forward to holding it a second time! As before, we want to see your Fire Emblem fan works, whether they’re pictures, stories, cosplay, anything! So long as they contain original assets. Naturally there will be prizes to tempt to you. All submissions will be entered into a mystery raffle, while top-scoring entrants can look forward to snazzy prizes such as the Awakening artbook and booster packs from the Cipher card game! Scribbles 2016 is open from 4th December 2016 to 4th February 2017, which gives you two full months to prepare something. For the full details, please check this forum topic managed by our cheery admin, Tangerine. Please do share this event with any Fire Emblem fans you know and I hope to see you around!